Beverly Hills Hair Group is a state-of-the-art facility that offers ways to treat your hair loss condition without surgery. Non-surgical hair loss treatments can be used as a proactive approach to prevent further hair loss or as a maintenance therapy to retain hair transplant results. 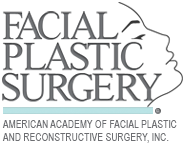 Our FDA approved, non-surgical treatments are always tailored to meet your specific needs, preferences and goals. 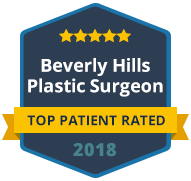 Dr. Ben Talei is a double board certified plastic surgeon who offers a variety of non-surgical hair restorations: medications, nutritional supplements, low-level laser therapy, platelet-rich plasma (PRP) therapy or combination of these treatments. At Beverly Hills Hair Group, we educate patients on the vital role that nutrition plays in healthy hair growth. Our clinic supports patients who prefer a more holistic hair loss treatment approach. Dr. Talei carries extensive knowledge in the vitamins and minerals that can promote stable hair growth. Your recommended diet or nutritional supplements may include Folic Acid, Iron, Vitamin A, Biotin, Vitamin E and others. It is important that patients follow Dr. Talei’s detailed instructions for nutritional supplements, as taking too many vitamins can potentially cause more harm than good. Beyond nutritional supplements, our clinic offers several other non-surgical methods to prevent and treat hair loss. Oral medications such as Propecia as well as topical medication such as Rogaine are excellent options for those who have thinning hair or men who are in the early stages of balding. Low-Level Laser Therapy (LLLT) is another non-invasive solution for patients with hair loss or those that want to retain optimal hair transplant results. Dr. Talei offers the most advanced LLLT technology to safely and effectively stimulate cell growth within the hair shaft, resulting in a thicker and fuller head of hair. In most cases, laser therapy produces superior short-term results compared to medications. Beverly Hills Hair Group is proud to also offer Platelet Rich Plasma Therapy (PRP), a proven and highly researched technique that injects concentrated blood plasma into the scalp to prevent hair loss and stimulate growth in dormant follicles. PRP injections are ideal for hair transplant patients who want the most advanced maintenance therapy to enhance their results. Whether you are at the beginning stages of hair loss or you are ineligible for hair transplant surgery, our clinic offers treatments to effectively address your concerns and restore your hair to its most natural and full appearance. We are happy to work with your dermatologist, if needed, to provide a comprehensive treatment plan to achieve your goals. For more information about our non-surgical hair loss treatment methods, please call us today.